Sintéticos de moda y alta calidad. Since its very beginning, back in 1968, Coronet’s main target has been the Footwear and leather goods market, and today this still is the business Division that gives us greatest satisfaction. 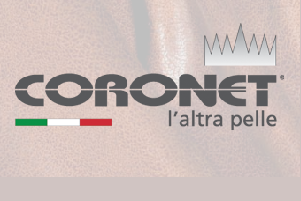 Through the years, our acclaimed creations established the Coronet brand as synonim with high quality. Among our most successful products we can count: our lining “Delikatesse” (absorbent, breathable and antibacterical); “Unika” lining (with metallic foil); the “Cantadora” line of products specific for uppers and bags; “Premiere” stretch material and many other ideas conceived with both style and comfort (“Mitika”microfiber) in mind.